We have made it easier for users to create descriptions for Amazon seller listings. 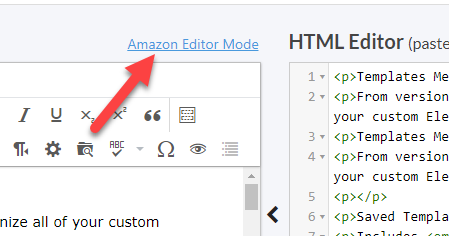 Amazon restricts the code you can use for listings so we have created a simplified version of the Visual Editor that will create code that is Amazon compatible. Amazon has a limit of 2000 characters for the description field, our system will warn you if your text is over 2000 characters. 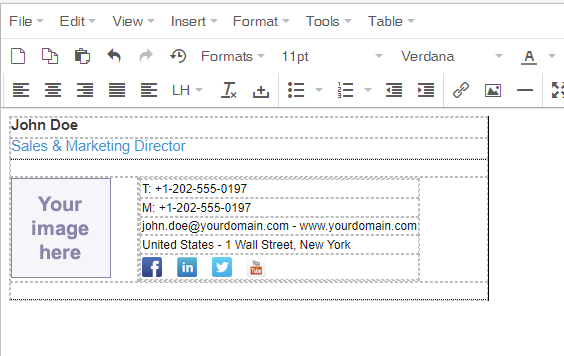 We also have a character count tool in the bottom right of the Visual Editor that will help you keep track. Once you have edited the text, copy the HTML from the HTML Editor box and paste it into the Amazon listing display field. Do let us know what you think of this feature. We also have plans to add a custom editor for creating Ebay listings. 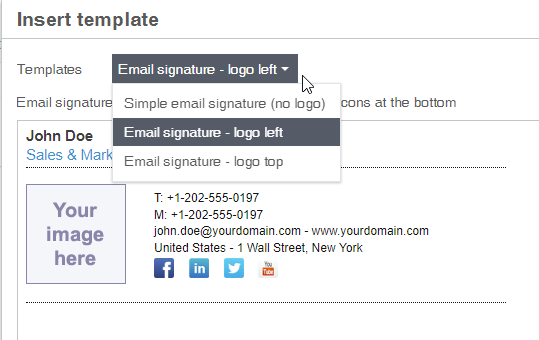 At the moment we just have templates for HTML signatures but if this feature is popular we will add more templates. Please contact us if you have ideas for new templates. To save you time when you click the Cleanup button we automatically copy the converted HTML to your clipboard ready for pasting. If you want to turn this feature off you can do so in the Settings page. 1 – Tag or attribute actions drop down – select what you would like to do. 3 – HTML attributes like id, class, style etc. Please note that class and style attributes at treated differently if you enter some values for them. 4 – Enumerate attribute values on/off. 5 – Start number when enumerating attribute values. 6 – Attribute or tag values. This field can contain HTML too. 7 – List of actions that will be performed on HTML. Testing emails: when you send a test email that contains images the images will display in your email client. Testing pages: when you download a page or copy it into a CMS your images will show. Please note we only keep your images if you are a subscriber to our Pro service. If you cancel your account we will delete your images and files after 30 days. 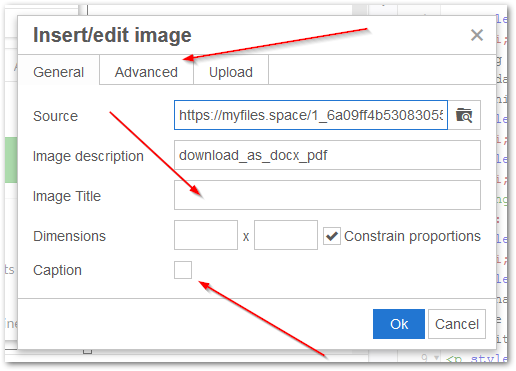 We’re happy to introduce feature to save pasted images as files online. Previously if you’ve pasted an image from clipboard it was added as embedded HTML. Currently Word To HTML will save your image online. Please note that if you paste big images then pasting process can take some time (from seconds to minutes if you got slow Internet connection). 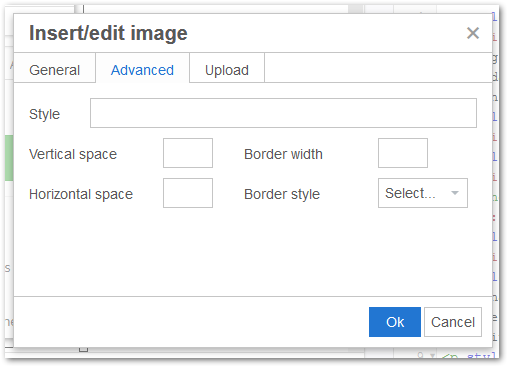 If you want to paste image as embedded HTML then you have to turn on Embed images option. Please note that embedding images as HTML makes sense only for small images. We would like to inform that we have updated both editors (Visual and HTML code) and well as File manager for Visual editor to newer versions. If you’re having any issues first please refresh your browser (Ctrl + F5). If this will not help please contact us. We noticed a lot of users are using our system to create HTML newsletters so we have decided to add more features to make the task easier. We know from our own experience that one of the main issues with creating HTML emails is testing them. 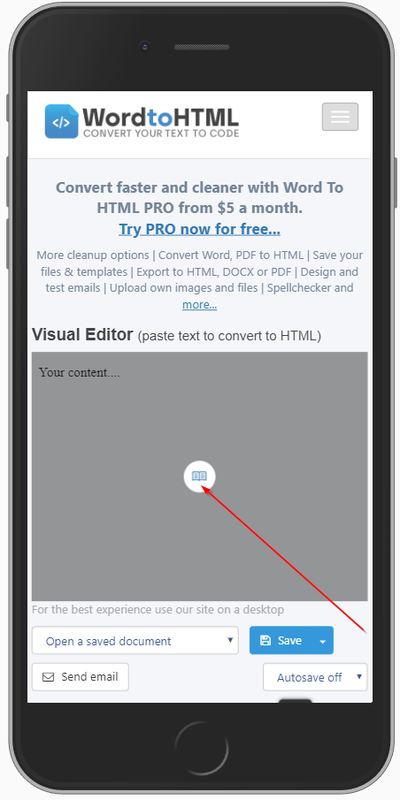 To save you time we have now added a Send Test Email option. You will find the option next to the save menu. 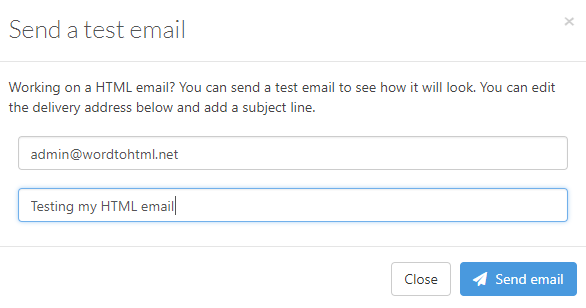 When you click it you can send the test email to the email address on your account or you can change it to send to any email address you like. You can also customise the subject line. Remember a hard refresh should fix most issues. After that check, if Word to HTML works OK now.